You may have noticed that freedom is my thing. I work hard to have freedom in my life, I create things for you to help you find freedom, and I want as many people as possible on the planet to know what true freedom feels like. (So much so that I’ve started the Right2Freedom, a global study on freedom)! We all want to be happy and, to me, freedom plays a huge role in how happy I am in my life and I know I’m not alone. You can imagine how excited I was to come across Raj Raghunathan’s work on happiness. His whole thing is to study and teach happiness and fulfillment in an academic but light-hearted way. He teaches it, he writes about it, and he makes it fun! He’s managed to take an academic approach to a universally relevant topic and make it accessible to everyone in his new book, If You Are So Smart, Why Aren’t You Happy? 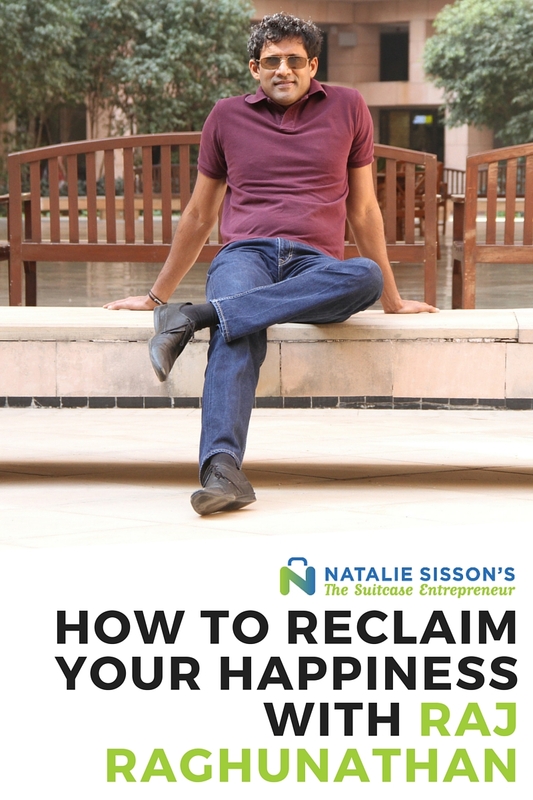 In today’s podcast, Raj and I jam on happiness, freedom, abundance and why some of life’s worst events are the best things that can happen to us. Why we’re hard-wired to focus on the negative and what you can do about it.